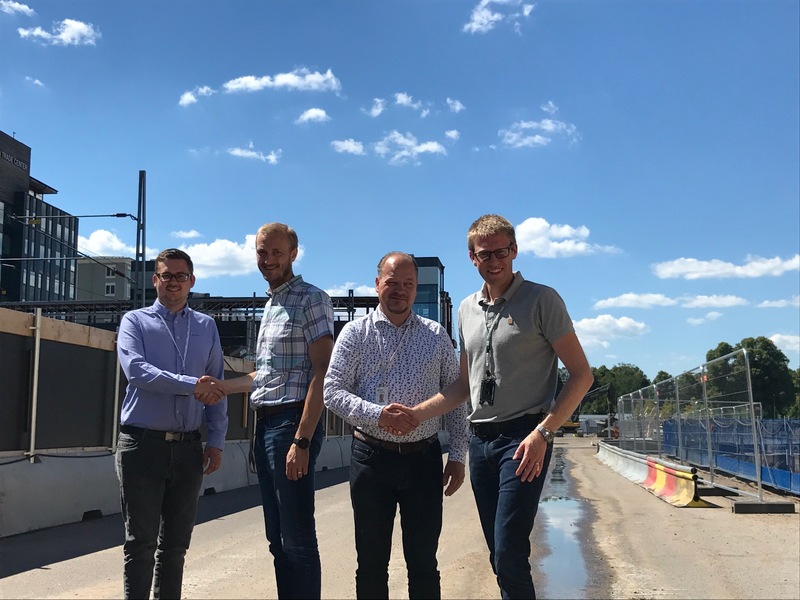 Bravida has signed an agreement with Skanska to carry out all installations in Växjö’s new combined station and city hall. The agreement has an order value of approximately SEK 107 million. The first step of what shall become the new station and city hall of Växjö, in southern Sweden, was taken in April 2018. The new building will be seven floors high and 16,400 square meters large. Skanska has given Bravida the assignment to carry out the design and projecting as well as the execution of all installations within electrical, heating and plumbing, ventilation, sprinklers and control in the project. End customers are Vöfab and Jernhusen. – Bravida is a large entrepreneur in Sweden, but also locally in Växjö. It feels safe to cooperate with a stable partner in a complex project like this, which demands both good coordination and many resources. We shall deliver the best end product together, in a good and controlled way, says Magnus Ohlsson, Project Manager, Skanska district Kronoberg. – This is an important assignment to us and to be a part of the project as early as the design and projecting phase feels especially good. Bravida’s strength in large projects like this is our width and competence within all technical areas, says Niclas Johansson, Project Manager, Bravida region Jönköping. The project will occupy 50 employees during the most intense installation period. The work starts immediately and is expected to be finished during the end of 2020.